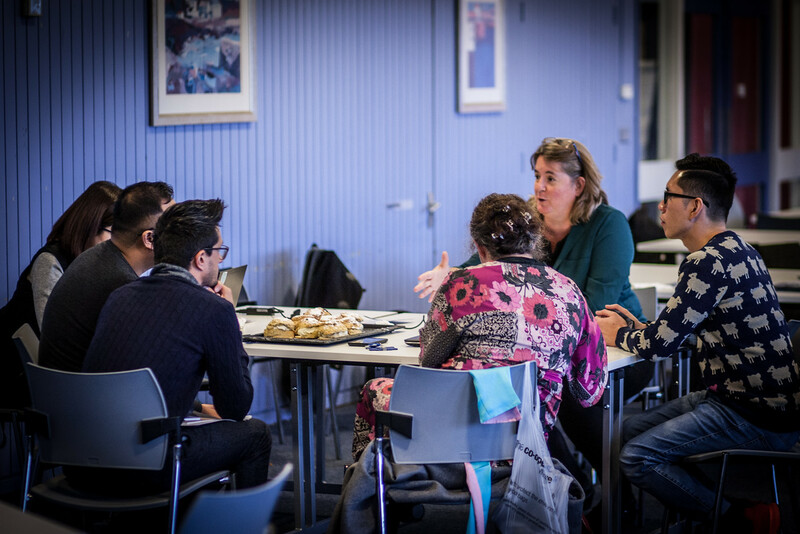 The November 2016 workshop to launch the Newton Tech4Dev Network took ‘Crisis Work & Digital Opportunities’ as its theme: a topic which sparked a stimulating mix of ideas on innovations and their challenges from around the world. Philippe Stoll’s (of International Committee of the Red Cross) keynote address set out the close relationship of crises and digital opportunities: the fact that there is faster 3G connection in Somalia than in the UK, he pointed out, shows how technology can thrive in a struggling state. Within this trend, he identified three key concepts that would return throughout the day. Digital disruption, disintermediation, and transparency – all of which are culminating in a “participatory revolution”. Thomas Tufte (University of Leicester) reflected on how this disruption manifests as a “game-changer” for the communications for development field itself as the pervasiveness of media in everyday lives transforms the targeted, situated audience into a networked, mobile audience. CDAC Network (Communication with Disaster-Affected Communities) focused on peoples’ technological needs as they move through a crisis, presenting the benefits of combining “analogue and digital” and translation on the level of dialect. Finn Rasmusen showed evidence of this in the work which International Media Support is supporting with Radio Rozana – produced by Syrian journalists and broadcast to civilians and refugees both online and via satellite. An afternoon on the topic of ‘Humanitarian Labor’ ranged across the implications of this sector for local aid workers – who can “get the same use-and-discard treatment as the software they’re using”, suggested Ong (Uni. of Leicester) and Combindo (De Salle Uni. ); for international aid workers – navigating “moral labor”, proposed Fechte (Uni. of Sussex); and for philanthrocapitalists’ exercising power remotely: “funders can undermine the control of aid workers in ways you don’t expect”, highlighted Bunce, Scott and Wright. The first day closed with a panel on ‘Digital Sweatshops’. 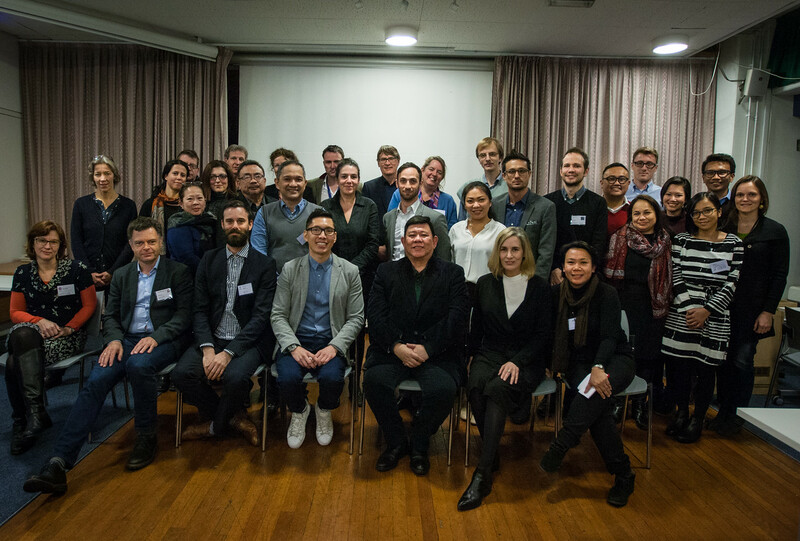 Much digital work that appears autonomous was exposed as algorithmically driven (Wood, Oxford Internet Institute), which other panelists scrutinized for its implications in the “World class…?” Philippines context (Soriano, De Salle Uni. & Cabanes, Uni. of Leicester) and in the context of gender and sexuality (David, Uni. of Colorado). Day 2 turned towards interventions, responses and participation. An opening panel considered sectoral interventions from three strikingly different angles: private aid, whereby tour operators charter boat-fulls of European tourists to conduct needs assessments after typhoon Haiyan (McKay, Keele Uni. ); digital payment systems, whose “huge unrealized potential” – for economic efficiency and transparency – is being tapped in crises, such as iris scanning for refugee identification in Jordan (Bower, Bower & Partners); and faith-based organisations, particularly Iglesia ni Cristo in the Philippines, who were shown to use crises to strengthen their evangelistic mission of “religious worlding” (Cornelo, Ateneo de Manila Uni., & Teehankee, De La Salle Uni.). Professors of Volcanology and Environmental History provided fascinating new perspectives on community adaptations to natural disasters. Branney (Uni. of Leicester) showed how volcanic eruptions are entirely predictable, while Bankoff (Uni. of Hull) explored how disaster sub-cultures emerge among residents living with repetitive disasters in their daily lives. These scientific and anthropological approaches were balanced with Lallana and Soriano’s (De La Salle Uni.) policy perspective, on responsively redesigning disaster governance and management in the Philippines. The C4D Network (Davies & Bartholomew) launched the final session of the day, showing the range of individuals and institutions across their global network who are participating in this sector, and emphasizing the importance and means of collaboration between them. Touri (Uni. of Leicester) responded with an exploration of agency and empowerment in in food networks, before Matule and Moyer (Uni. of Leicester) proposed a response to marginal voices’ lack of participation– their “routine exclusion” from – environmental decision-making. iveliness of conversations across the two days, the Newton Network Launch concluded with productive discussions about funding. These pragmatic discussions, as well as connections made over the two days, suggest that many of the ideas generated over the workshop can be translated into promising further action and conversations.